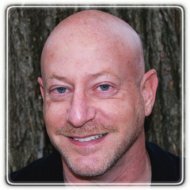 Gaithersburg Therapist: Brad Wasserman - Therapist 20886. Please email me at therapist@bradwasserman.com or call me, I'd love to speak with you. As a therapist, I've been making a difference in people's lives for nearly 20 years -- helping adults, teenagers, couples and families to resolve problems and enjoy emotional freedom. My therapeutic approach is active and solution-focused, traits that many clients find helpful in speeding their progress. It's well understood that successful therapy is strongly linked to the strength of the relationship between client and therapist. In fact, many studies have shown that the client's connection with and trust in the therapist are the most important factors in healing. My clients often report that my ability to quickly “get” them and their issues was critically important to their success in therapy. New clients typically leave their first session with a new feeling of hope that is the spark for continued success in therapy. I have found that this early connection, coupled with a therapeutic style that is active and solution-focused, leads to outstanding results for my clients. It's been said, “When all you have is a hammer, everything looks like a nail.” That's why I practice a variety of therapeutic methods, applying the best tool to fit your unique situation. In our work together, you can expect a blend of “talk therapy” along with other progressive tools that include EMDR, the Sedona Method, HeartMath, body-energy, and other highly effective techniques. My clients have often said that this therapeutic “toolkit” allowed them to achieve more rapid improvement and longer-lasting results than more traditional methods. This “therapy toolkit” means that you can experience faster, more effective healing, with results that are long-lasting. And one of the great benefits is that you will learn to use many of these techniques outside of session, giving you the tools to self-treat your issues whenever the need arises. Please feel free to email me at therapist@bradwasserman.com or give me a call at 301-325-2103 and I'll be happy to provide a free telephone consultation.